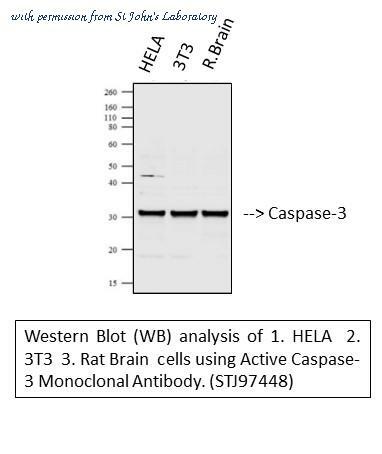 Detection of Human and Mouse Cleaved Caspase-3 (Asp175) by Western Blot. 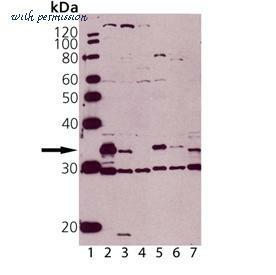 Western blot shows lysates of Jurkat human acute T cell leukemia cell line and DA3 mouse myeloma cell line untreated (-) or treated (+) with 1 �eM staurosporine (STS) for the indicated times. 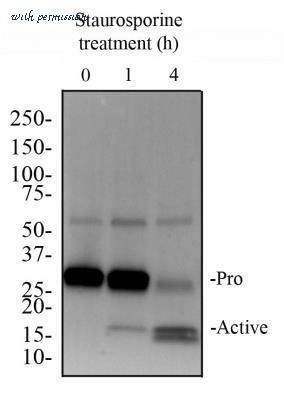 PVDF membrane was probed with 0.5 �eg/mL of Human/Mouse Cleaved Caspase-3 (Asp175) Monoclonal Antibody (MAB835), followed by HRP-conjugated Anti-Rabbit IgG Secondary Antibody (Catalog # HAF008 ). A specific band was detected for Cleaved Caspase-3 (Asp175) at approximately 18 kDa (as indicated). 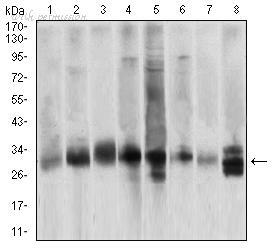 This experiment was conducted under reducing conditions and using Immunoblot Buffer Group 3 . 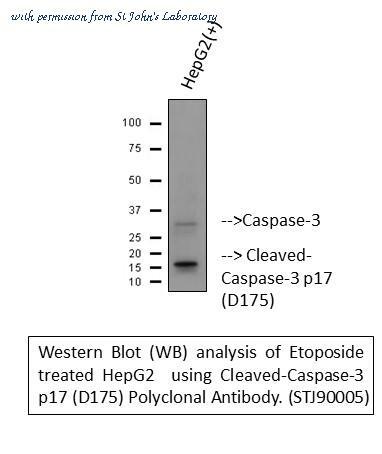 Detection of Human Precursor Caspase-3 and p18 Subunit by Western Blot. 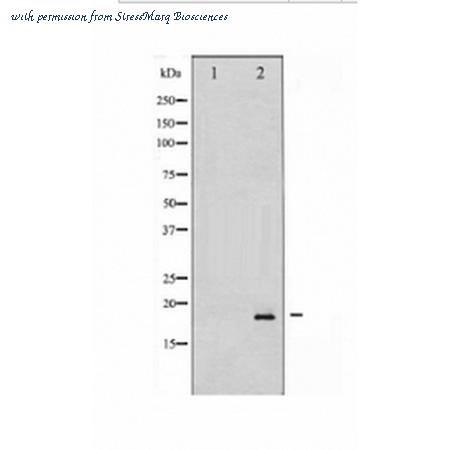 Western blot shows lysates of Jurkat human acute T cell leukemia cell line untreated (-) or treated (+) with 1 �eM staurosporine (STS) for 3 hours. 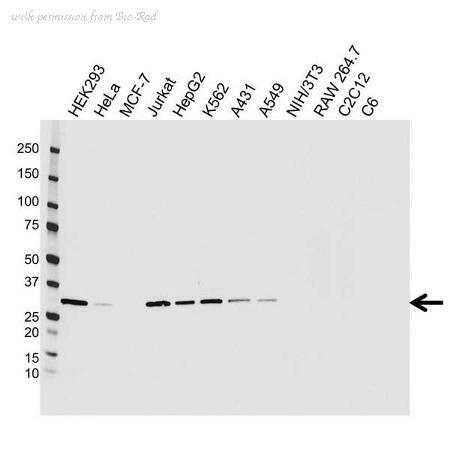 PVDF membrane was probed with 1 �eg/mL of Human Caspase-3 Monoclonal Antibody (Catalog # MAB707), followed by HRP-conjugated Anti-Mouse IgG Secondary Antibody (Catalog # HAF007 ). 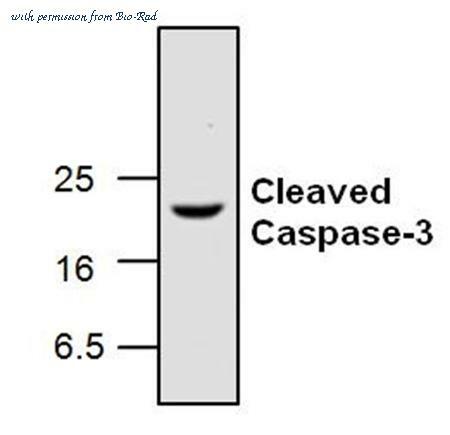 Specific bands were detected for precursor Caspase-3 and the p18 subunit at approximately 36 and 18 kDa (as indicated). 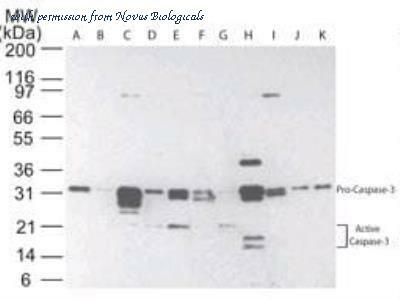 This experiment was conducted under reducing conditions and using Immunoblot Buffer Group 4 . 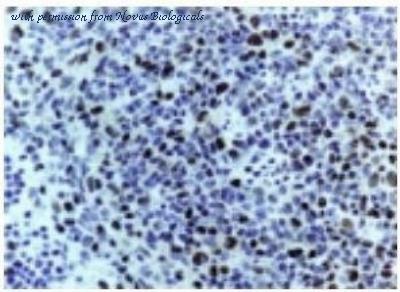 Immunohistochemistry analysis: Formalin-fixed, paraffin-embedded human breast cancer (top) and normal colon (bottom) stained with Caspase-3, mAb (31A1067) at 4�0�8g/ml. 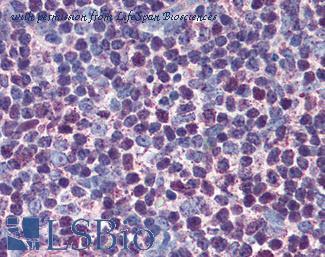 Localization can be cytoplasmic and nuclear. 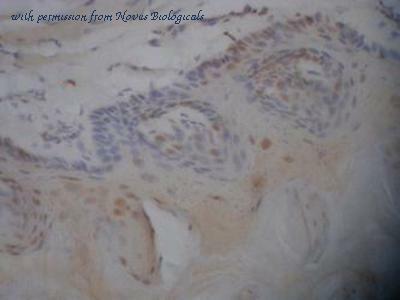 Staining in the nucleus is considered to be an indication of active Caspase-3. 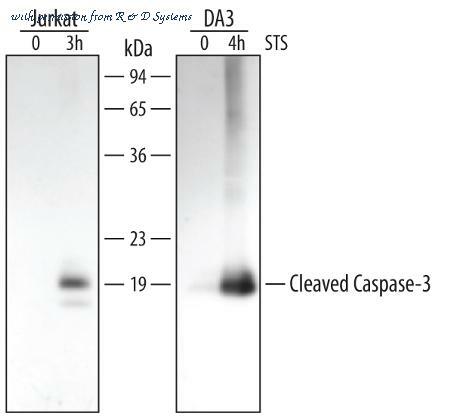 In most cell types and model systems, cells with active Caspase-3 are undergoing apoptosis. 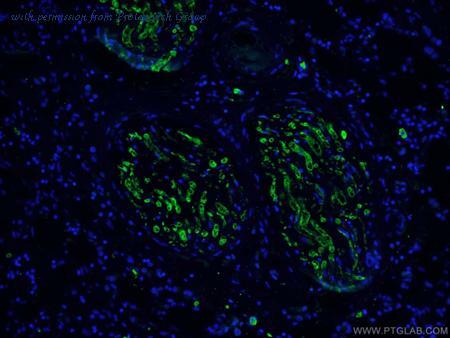 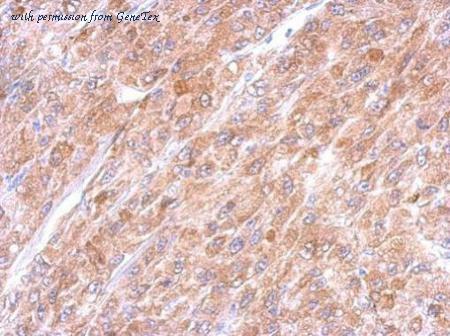 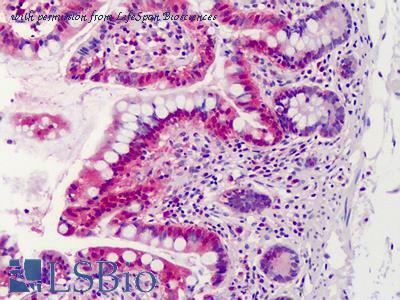 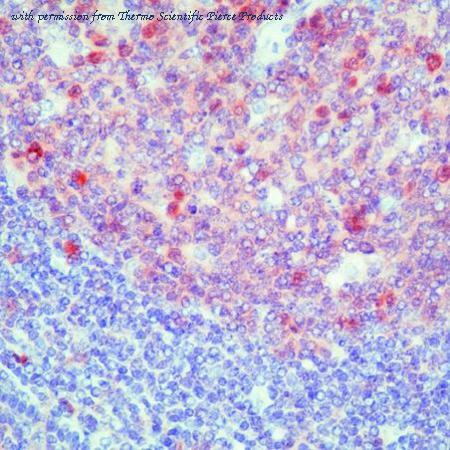 Immunohistochemistry analysis of human spleen tissue stained with Caspase-3, pAb at 10�0�8g/ml. 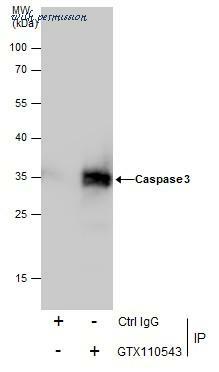 Western Blot of Mouse Anti-Caspase-3 antibody. 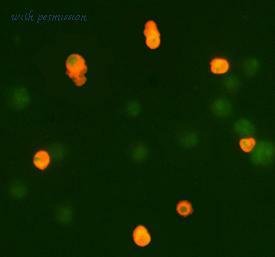 Lane 1-8: HeLa cell lysates. 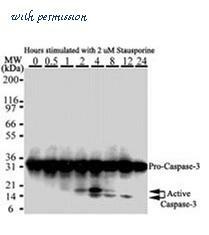 Treated with 2�0�8M stauroporine for 0, 0.5, 1, 2, 4, 8, 12, 24 hours respectively. 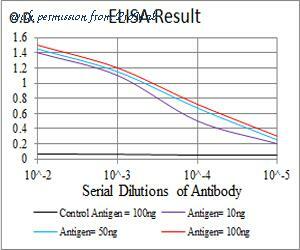 Load: 20 �0�8g per lane. 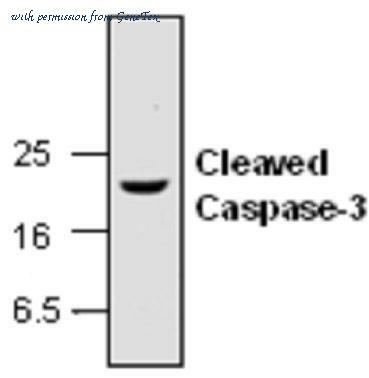 Primary antibody: Caspase-3 antibody treated with 2 �0�8g/ml for overnight at 4��C. 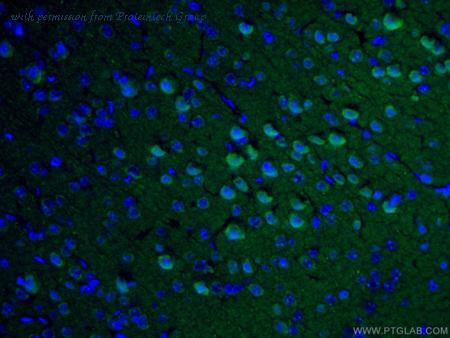 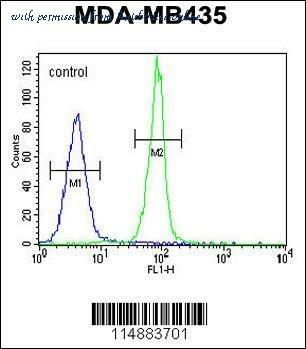 Secondary antibody: IRDye800�6�4 mouse secondary antibody at 1:10,000 for 45 min at RT. 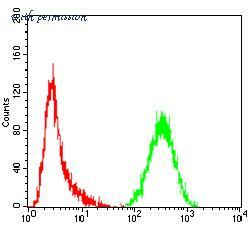 Block: 5% BLOTTO overnight at 4��C. 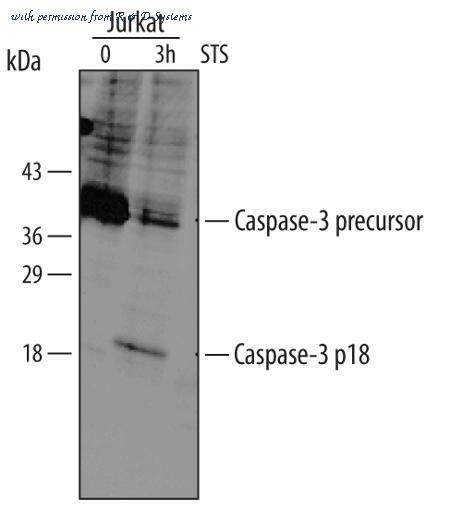 Predicted/Observed size: 31.6 kDa for Pro-Caspase-1. 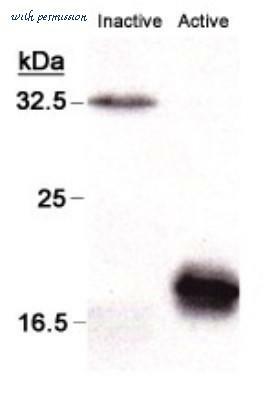 Other band(s): 14-21kDa active Caspase 3. 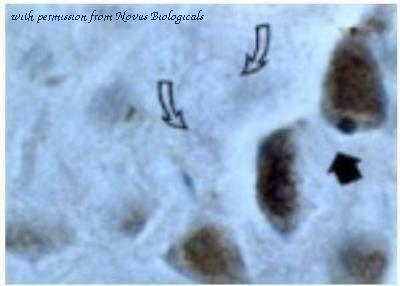 Cleavage fragments.